MASTER PROBLEMS Work and Leisure Why injured worker needs an attorney? 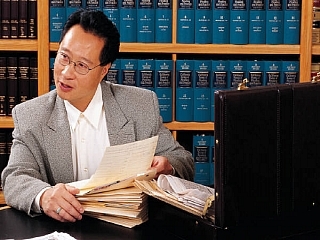 Why injured worker needs an attorney? In today’s cut throat competition, insurance companies put up advertisements that are too good to be true. A lot of people fall prey to these lofty coverage terms. Making insurance companies pay up the compensation amount is a difficult task. In this case, an attorney can do the needful by navigating through all the complex insurance terms and secure the compensation amount for an injured claimant. There are other advantages of working with an attorney while dealing with the insurance companies with respect to insurance coverage claimed after an injury or any other similar events. Many a times, insurers as well as the employers cut off all sorts of communication with an injured employee. This may happen to you as well. So, in this case you may be in a better position to ask for your compensation, if you being represented by a competent attorney. However, most of the insurers do not follow the immediate contact program that should have been followed by one and all. In such a situation, you should get in touch with an attorney who will communicate with your employer. Nowadays, increasing number of insurers are violating the insurance terms by reducing the compensation amount. This is happening even in case of lawful work injuries. As a result, a good number of outstanding medical bills are sold off to the collection agencies. Moreover, these insurance providers may take a lot of time to process the compensation check that may prove to be quite taxing for you, especially when you are in dire need of money. This is one of the most obvious reasons to work with an attorney. Moreover, insurance companies may reject your claim, if you stay several time zones away from the actual site of accident or injury. However, if you are a local resident from where you received your injuries, then there are very less chances of your claim getting rejected. Basically, baseless rejections happen with TPAs or third party administrators. Last but not the least, you may have lost the health insurance benefits because a number of counties do not have laws that will make it mandatory for the insurance companies to pay up the compensation amount for a work related disability. In this case, your attorney can be of great help to secure the necessary compensation from the court of law. +ANDREW JACKSON - is a financial writer who loves to contribute his articles to the communities, blogs and websites.